An important and popular fixture on the Real Gone calendar, the free sampler has offered a broad range of tracks for keen-eared listeners since its inception back in 2010. Usually, the samplers would cover a broad range of music. This year, in line with 2014, we’ve covered so much metal, it needed it’s own free download! 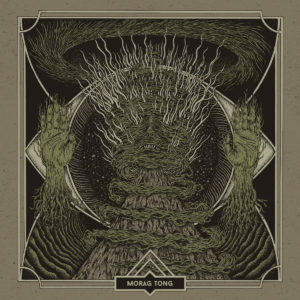 Having worked hard at creating meaty and reverbed sludge metal perfection on stages across the south of England and beyond, London’s Morag Tong entered the studio to lay down a few tracks at the tail end of 2015. 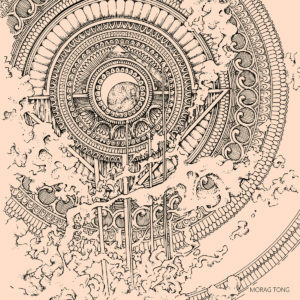 The resultant EP, ‘Through Clouded Time’, released at the beginning of the new year, presents four numbers of sheer weightiness that not only act as a great snapshot of Morag Tong’s purer musical intents, but also instantly asserts itself as an underground sludge classic.